I normally don’t feel the need to journal during ‘staycations’ (for me, a “staycation” is any vacation within the continental U.S.), but the moment I arrived at the Esalen Institute for a week-long yoga workshop, my mind immediately went into journaling mode. This is the mode where I begin processing everything as though I’m writing and my brain begins to dictate until I have no choice but to write down my thoughts or allow the words to evaporate into an ether of unrealized linguistic potential. 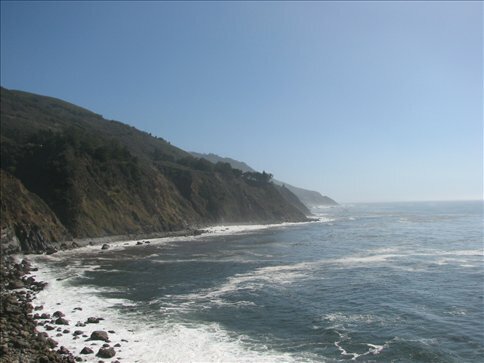 For those unfamiliar with the Esalen Institute (as I was before I came here), it is a non-profit organization located in Big Sur, California and situated on 27 coastal acres overlooking the Pacific Ocean. It was founded in the early 1960s as a place committed to exploring the “human potential movement.” It has had many famous students and teachers, such as Aldous Huxley, Buckminster Fuller, Abraham Maslow, and B.F. Skinner. I don’t know much about the human potential movement, but I do know yoga, and I’m here to practice with an instructor that came highly recommended by a friend in hopes of reaching my own potential as a yoga practitioner. During this week, I will enjoy 6 hours of yoga a day (yes, I said SIX HOURS…I’m in yoga heaven), healthy food (much of which is organically grown right on the grounds) and the rejuvenating mineral baths. Or, to be more specific, the rejuvenating, clothing-optional mineral baths (more on this soon). I’m a little ADD when it comes to Pranayama. I guess that makes me an undisciplined yogi. But at least I keep trying.